Cliff’s Edge, the talented son of Highlands Stud part of Ridgemont’s exciting new sire Canford Cliffs, holds entries in some of Australia’s top races. The progressive three-year-old, a close up fifth in Saturday’s G1 Rosehill Guineas, has been entered in all of the G1 Doncaster Mile, G1 AJC Australian Derby and G1 Queen Elizabeth Stakes. 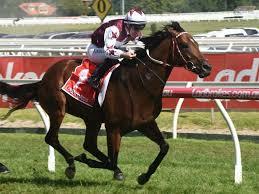 Trained by Darren Weir, Cliff’s Edge, who has now earned over AUS$730 000 in prize money, has won six of his 15 outings. The colt, who was produced by the Snaadee mare Simulation, has won or been second in six pattern races, with Cliff’s Edge having won all of the G2 Alister Clark Stakes, G3 Caulfield Classic and G3 Manfred Stakes. His five time G1 winning sire Canford Cliffs, who like Sadler’s Wells and Dubawi won the Irish 2000 Guineas, is the sire of over 20 stakes horses, highlighted by group winners Most Beautiful, Painted Cliffs, Al Jazi and Princess Asta. He is also sire of high class G1 performers Salouen and Harlequeen, recent Three Troikas Stakes winner Fish River, and 2017 Melbourne Cup contender Wall Of Fire. The former European stallion will be shown to the South African racing and breeding fraternity at Highlands Stud’s Stallion Day which is set to take place on May25th.